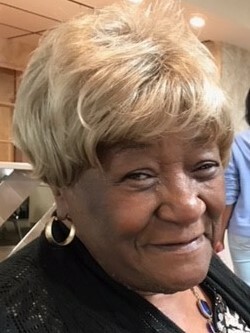 On Thursday, January 31, 2019 Mother Annie Mae Williamson, affectionately known as “Granny,” vacated her earthly home and joined the heavenly host. Born February 13, 1928, Annie was one of fifteen children born to her loving parents, John & Ethel Davis. Mother Williamson spent her childhood playing in the vast fields and farmlands which surrounded their home, and often spoke of the times when she and her siblings had to pick cotton. She loved singing and writing songs and dreamed of using her skills to advance her life beyond Tupelo, MS where she spent most of her childhood. However, she found love, got married, and moved to Albany, NY and started a family. Life in Albany was a lot different, but she managed to adapt to the culture, weather and the people. In fact, she was very popular and had many friends with whom she spent her youthful years. Generally, she was the life of the party because she knew how to transform the mood and environment with her candor, humor, and outgoing personality. Mother Williamson had an obsession for fashion and hair styling which inspired to her become a licensed cosmetologist. She never left the house without her hair styled and clothing well-coordinated. At any given day of the week you would find her straightening and curling someone’s hair or doing their make-up, or nails. She was also a seamstress; her specialty was making dolls and handkerchiefs. In 1960 Mother Williamson started attending church at St. John’s Church of God in Christ. She quickly became an active member of the church and would go on to spend her Christian life serving in various ministries; becoming an intercessory prayer warrior, bible scholar, licensed evangelist, and church mother. Mother Williamson was a praying woman and a woman of wisdom. She leaves her family a wealth of cherished memories and an incredible legacy of strength, prayer, and love. She was loved by all and will be missed by all. She leaves to cherish her memory: two sons, Larry Johnson, Troy, NY; Joseph Young, Detroit, MI; three daughters: Celinda Okwuosa, Angela Franklin (Darrel), and Monya Copeland; all of Albany New York; two sisters: Clara Woods (Lendon) and Janice Scales (Glen) of Mississippi: one brother, Jessie Davis of Chicago Illinois; and 28 grandchildren, 65 great-grandchildren, and 9 great-great grandchildren. Her husband Elder Andrew Williamson; son, Henry Johnson, daughter Carletta Smikle, and eleven siblings proceeded her in death. Mother Williamson has spent 90 years being a giver, but most of all being herself. Celebration of Life will be held at Empire Christian Center, 205 Washington Avenue Extension, Albany, NY on Thursday, February 7, 2019. Viewing from 5:00 pm – 7:00 pm; service immediately following.